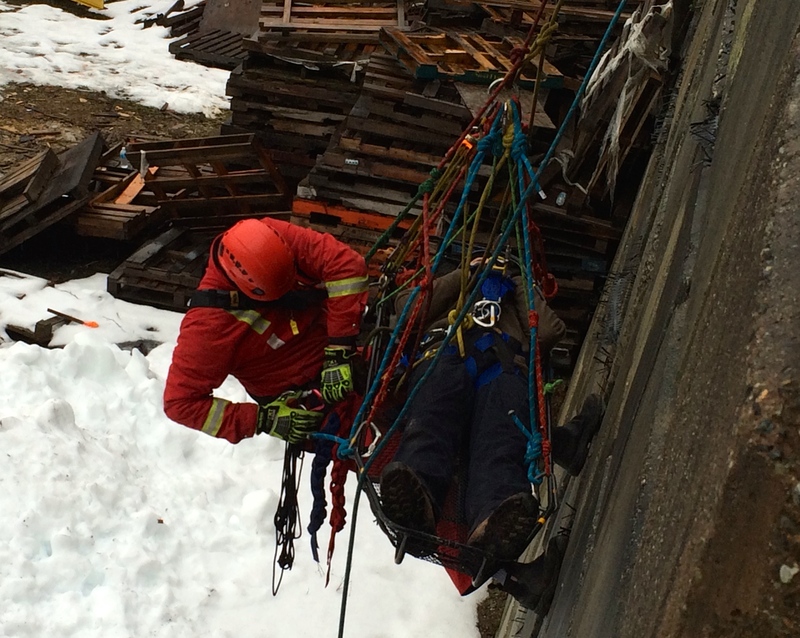 Last week, I had an opportunity to attend a Technical Rope Rescue Course through Raven Rescue. This was an eight day course designed mainly for firefighters and search & rescue personnels. It covered rope rescues on low angle slopes, high angle cliffs and highlines over a canyon where you rig a line across and get lowered (Tyrolean). Since this wasn’t designed for climbers, I thought skills I learn in this course would be a good knowledge, not necessarily skills for climbing but I learned so many things I can apply to climbing. Rescue equipments are different from climbing gears. As I expected, everything was much bigger compare to climbing gears. Most gears for rescue are G-rated, which means they are rated for multi-personal use. 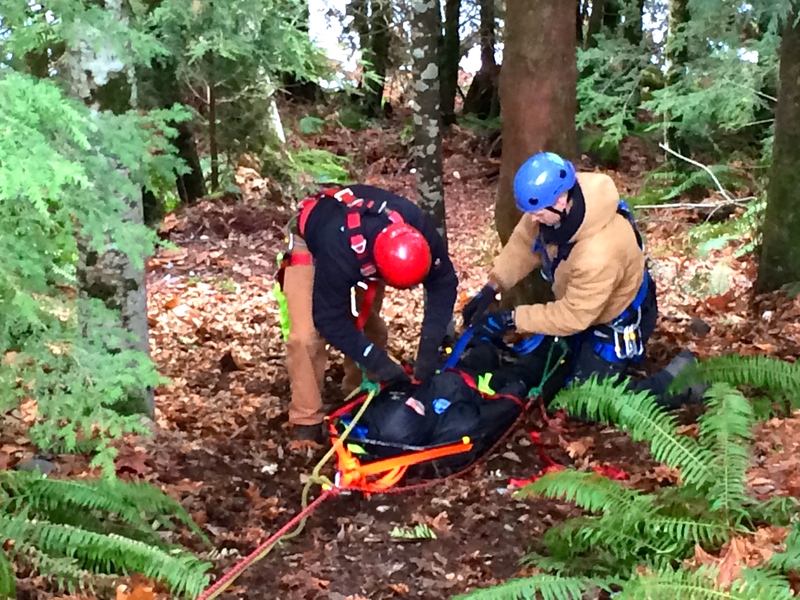 G-rated gear must be used in systems hauling more than one person, such as multiple rescuers or a rescuer and a patient. Climbing carabiner can be used as long as it only will be loaded with single person. Just to give some ideas how strong G-rated gears are, a G-rated carabiner is rated for at least 40kN and a regular climbing carabiner’s minimum strength is 20kN. G-rated 12mm static ropes we used are rated 40kN, regular climbing single dynamic ropes are rated about 8-10kN. Dealing with 12mm static ropes weren’t my favorite part of training, but it was fun to use gears that were new to me. 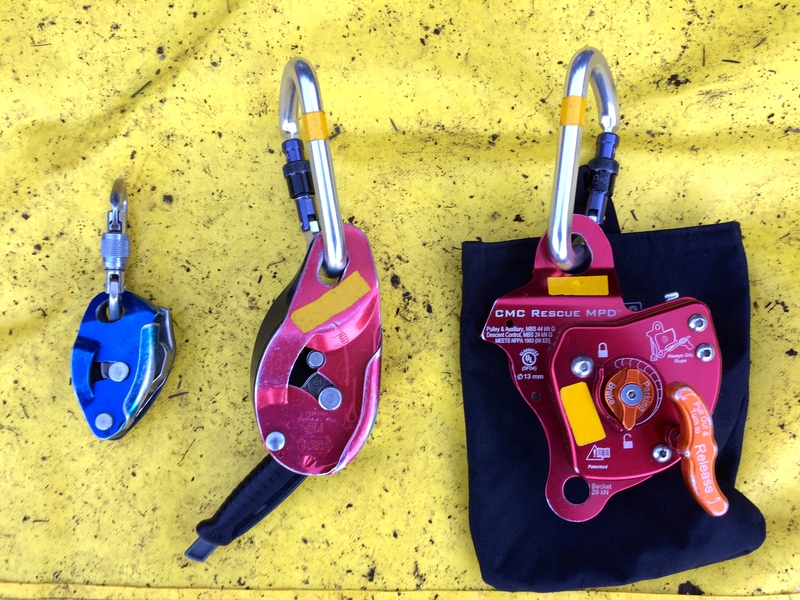 Some of the gears that we used were I’D which is like a bigger Grigri and MPD which is an auto-locking lowering & raising device with a pulley inside. We also learned how to use non-autolocking devices such as Scarab and Brake Rack. In this course, I learned that one of the common anchors in climbing was not a recommended anchor. It’s girth hitch. Here’s the reasons why: it creates a friction point on nylon on nylon and also the angle of the anchor is too wide that it’s not as strong as it can be. 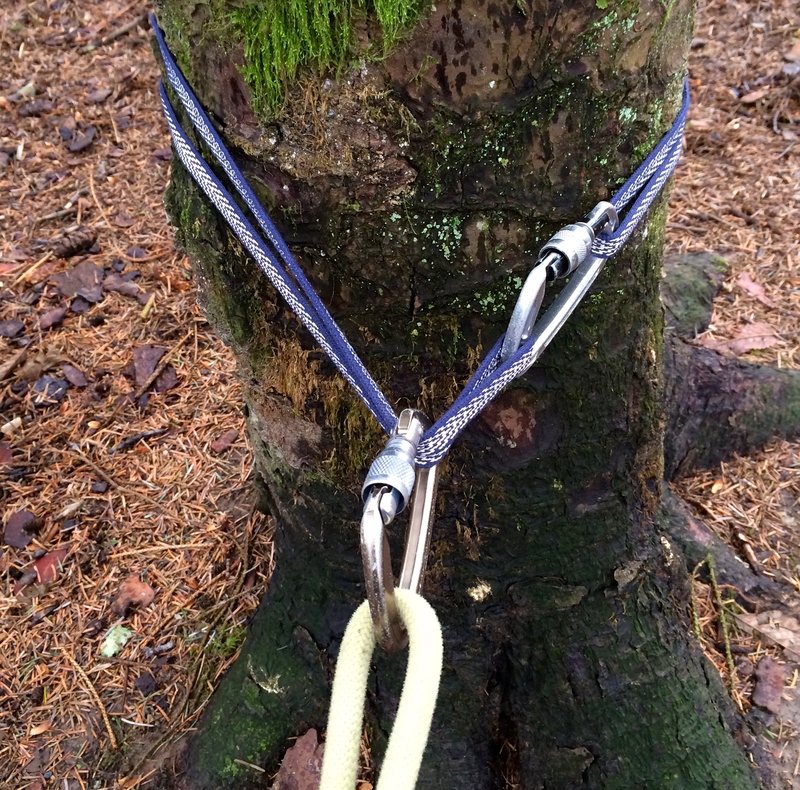 I have been using girth hitch on a tree belay on single pitch or multi pitch climbs. 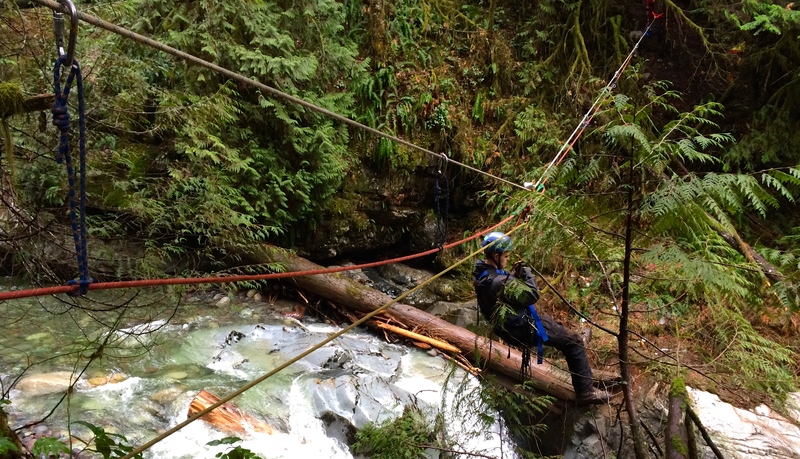 Most climbing falls don’t generate enough force for girth hitch anchor to fail, but instructor had a point. Catching a dynamic fall on girth hitch can cause frictions on nylon on nylon and potentially melt sling/webbing on the hitch. If I was belaying a lead climber on a tree belay on multi pitch, or even belaying a second climber from top, if there was a traverse the anchor can have a dynamic load. We also know not to build an anchor with too wide angles, but it never crossed my mind on girth hitch. When my instructor asked me what was the angle on girth hitch, I said “0 degree?” It is 0 degree on webbings from the hitch, but the actual angle is the one that comes to the hitch on a tree which can be quite wide. Wide angle weakens an anchor significantly. Here’s an example with 1000 lbs of load. 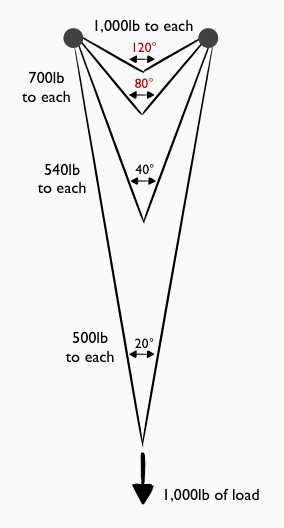 At 20 degree, each anchor point gets 500 lbs of load. At 120 degree, each anchor point gets 1000 lbs of load. Anchors with wider angles increases loads put on each anchor point. 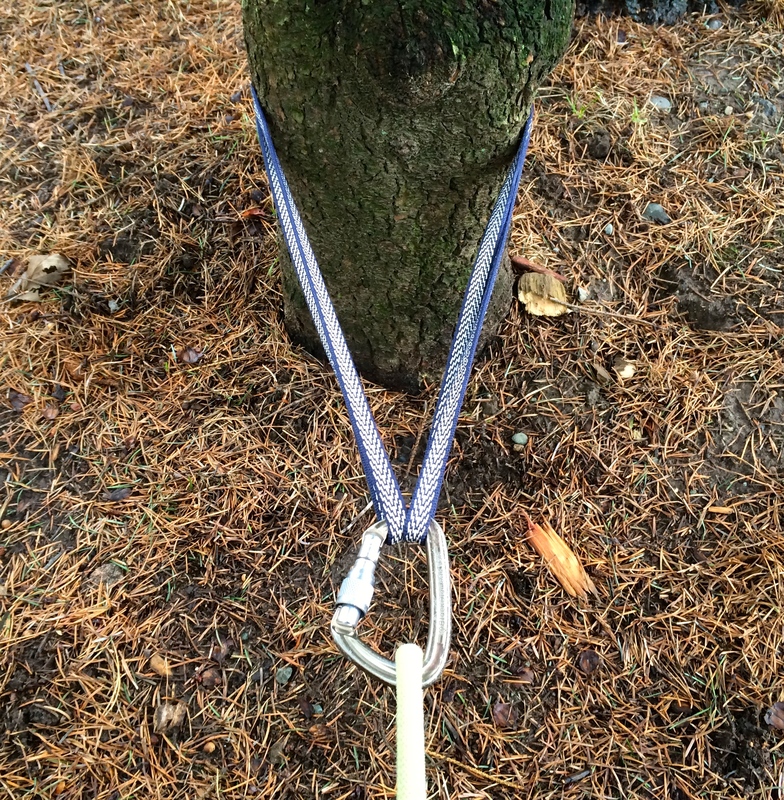 Most likely, a tree can hold a climber’s fall but why wouldn’t I reduce the force if I can with a different anchor which is as easy to build as a girth hitch? 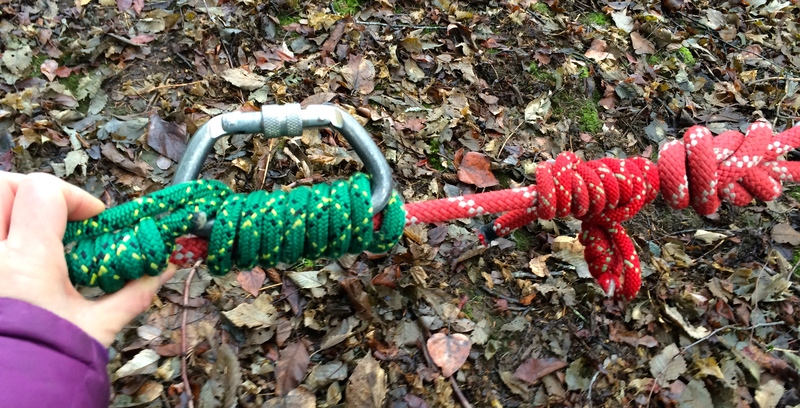 In rescue operations, basket hitch is one of the popular anchors. 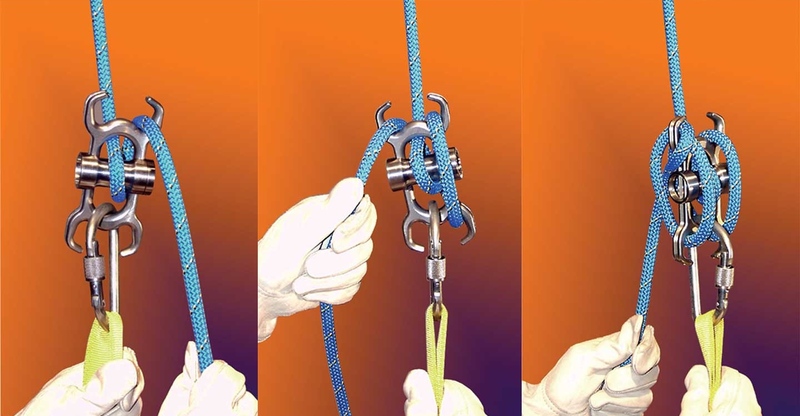 You can reduce the angle of the anchor significantly with the right length sling. Sometimes, an anchor tree is too big that a sling barely wraps around a tree. This can create tri-loading (three directional pull) on a carabiner which weakens the carabiner strength. If you have a longer sling or corderette, you should replace it, or you can add a carabiner to the system to fix tri-loading. Since hauling is a huge part of rescues, we practiced a lot on hauling systems with pulleys using Mechanical Advantages. Not having done any big wall aid climbing or cravasse rescue, pulley systems were new to me. Having pulleys and prusiks in a hauling system can multiply the efficiency. Here is an example with 9:1. Other useful systems we learned were purcell prusiks to replace ascenders & aid ladders, uses of bachmann hitch and klemheist in stead of regular prusiks, and how to build a hasty harness with a webbing. Purcell Prusik Ascending System. A regular prusik to attach to a harness and two purcell prusik foot loops to stand in. We also practiced how to secure a patient to a litter and rescues using a tripod. High angle rescue practice with a tripod. As you can tell, our instructor (by tripod) was really fun! I learned so many skills from this course. Some skills I can use on climbing, and others I wouldn’t use but great to know in case things go wrong. Thank you, Raven Rescue, for the opportunity. It was a great learning experience. I’m going to apply things I learned from this course to climbing and also starting to look into things I can do for local Search and Rescues. Raven Rescue is based in Smithers, BC Canada. 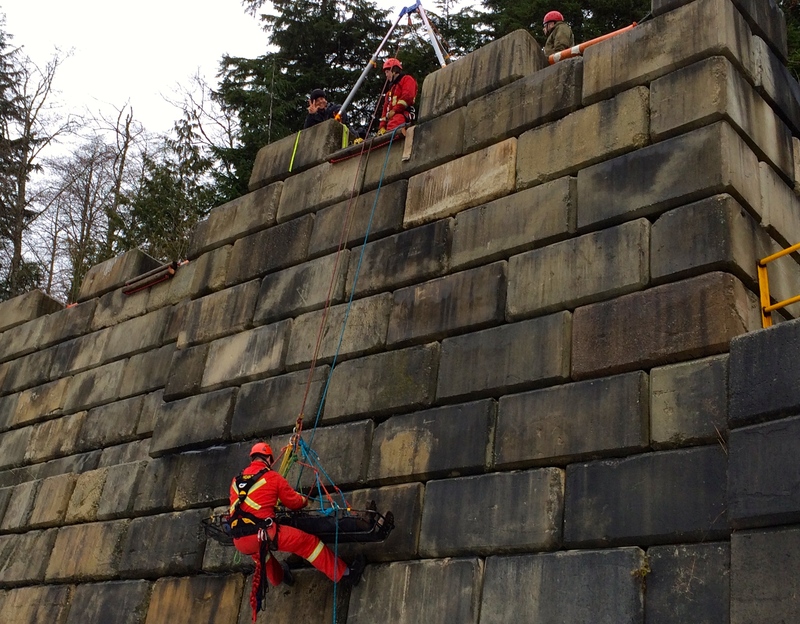 They offer rescue courses all over Canada for Technical Rope, Swiftwater & Flatwater, Confined Space, Boat, and Ice, as well as Wilderness First Aid.